New build homes are not everyone’s cup of tea. It may seem unusual to start a blog with that statement, but the facts are that new build houses often fuel debate. There are many preconceptions about new builds that we don’t think are fair. For example, whilst garden sizes are often commented on, they are unlikely to be as large as days gone by. In part, this is due to the increase in population and the associated need for housing in general. On the whole, property space is at a premium and innovative design ideas are needed to make the best use of indoor and outdoor space. Buying a new build house in Moseley could offer the best of both worlds – space and design. 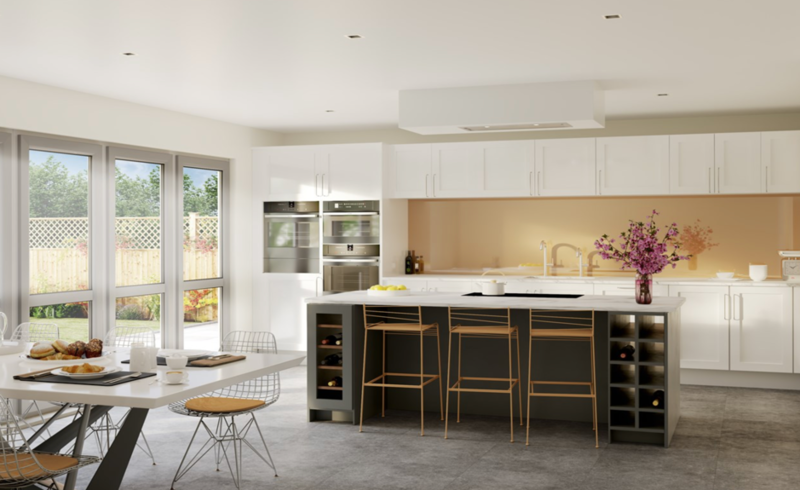 The new Oaklands development by SevenHomes is a luxury development of 11, five-bedroom houses 400m from the heart of trendy Moseley Village. One of the best things about living in Moseley is the proximity of beautiful parks from the private Moseley Park to Cannon Hill. Therefore, you have open green spaces on your doorstep as well as a spacious top end home. New build homes such as these in Moseley will have to adhere to minimum standards for energy efficiency. This will no doubt have a positive impact on the overall running costs of the property. The design of new build homes takes into account modern safety standards. This includes the type of materials used as well as the technology incorporated into the build with regards to smoke detectors and burglar alarms. New build properties come with a structural warranty, so you have peace of mind on both the quality of the build but also the financial implications of fixing any structural issues. With pretty much a blank canvas, you can get involved in design choices such as colour schemes, fixtures and fittings and flooring. Think how much money this will save on immediate re-decorating costs when you move in! The “Help to Buy” Scheme is available on new build homes up to a value of £600,000 in England. This means that getting the deposit for probably the largest purchase you’ll make in your life is that bit easier. The Oaklands new build houses in Moseley launches this Saturday 17th November at Moseley Golf Club. Reservations for these impressive and highly desirable properties will be taken on the day, so call our Moseley branch direct on 0121 4494576 to book your slot!